Fr. 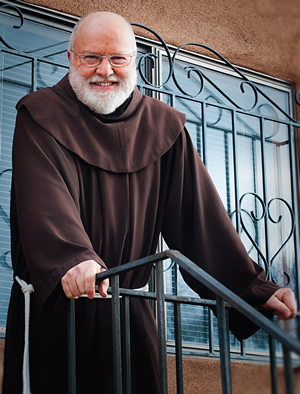 Richard Rohr, OFM, is one of the great spiritual teachers of our day. Through his many books, articles, talks, audio media, and retreats, he has taught a generation of church leaders and people about remaining true to our identity as children of God in a world which seeks to divide us and keep us thinking in binary ways. Fr. Rohr sends out a daily email to people around the globe, offering his spiritual wisdom to multitudes of people of many different faiths and denominations. Last week, his email touched on LGBT issues in some profound ways. This post will offer some excerpts. The limited ways that we have been taught to think about gender and sexuality often shrink, rather than expand, our ability to understand and appreciate other people? Fr. Rohr gets to the heart of the matter. Our gender and sexuality connect us to God, but the differences that humans share in these regards need not divide us. We are united at a deeper level which allows us to appreciate, respect, and treasure differences, not try to destroy them. The content of Fr. Rohr’s message is taken from his audio recording God as Us! The Sacred Feminine and the Sacred Masculine, discs 2 and 6 (Center for Action and Contemplation: 2011) which is available on CD, DVD, MP3 download. To receive Fr. Rohr’s daily email messages, click here to subscribe. For more about his ministry, click here. Fr Rohr words were very accurate and inspirational. What beautiful words! I have long thought of sexuality as a gift from the creator. It is a gift to be treasured an expressed in loving and creative ways, whether one is sexually active or not.